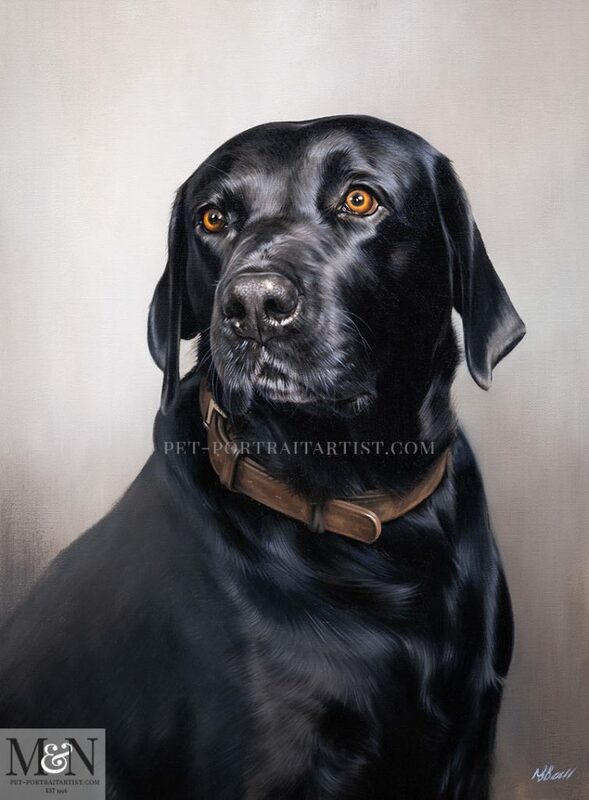 Welcome to our Black Labrador Oil Portrait which is the first oil painting of January! It was lovely to get back into the studio and start on the next batch of paintings and drawings. Drinda sadly lost Brhyer in 2018 and therefore the portrait will serve as a wonderful reminder of Brhyer for her family. Drinda is a returning customer and hopefully the painting will match in well with the other portraits Nicholas has painted of their dogs. You can also read a few testimonials from Drinda below. Also as you scroll down the page, plus in between the photos too! 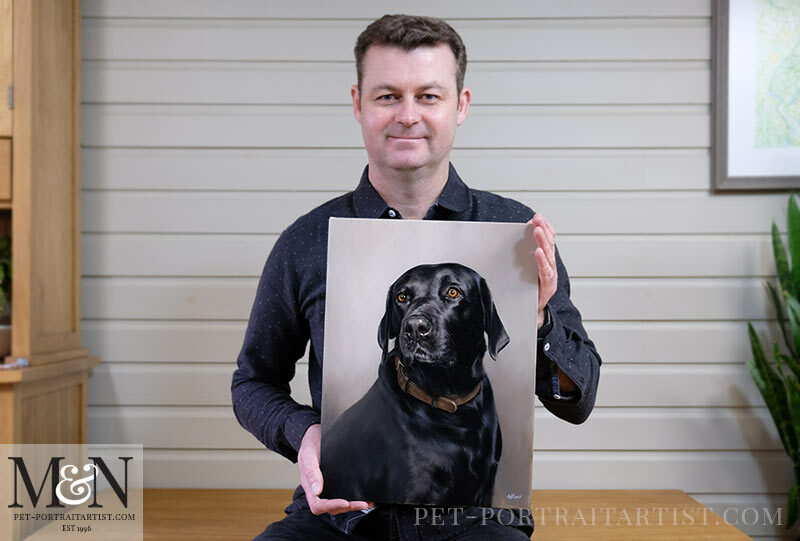 If you would like us to paint your Black Labrador – or create a portrait of them in pencil, why not email us your photos. Contact us via our dog portraits website at any time. The painting is lovely, just like our boy. Can’t wait to see it “in the flesh”! I took a photo of Nicholas with the portrait of Bryher which you can see below. I also took some photos of the portrait with Nicholas’ hand and paintbrush in for you to see the scale. 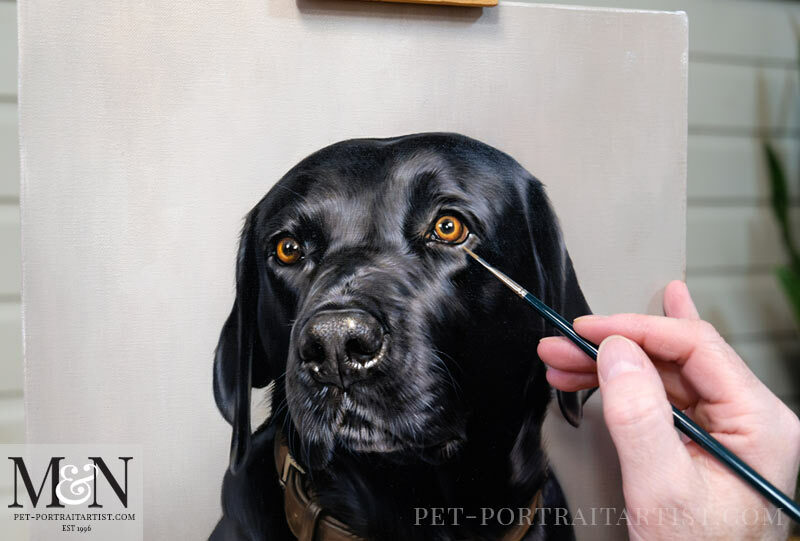 It’s been quite a while since Nicholas painted a Labrador. 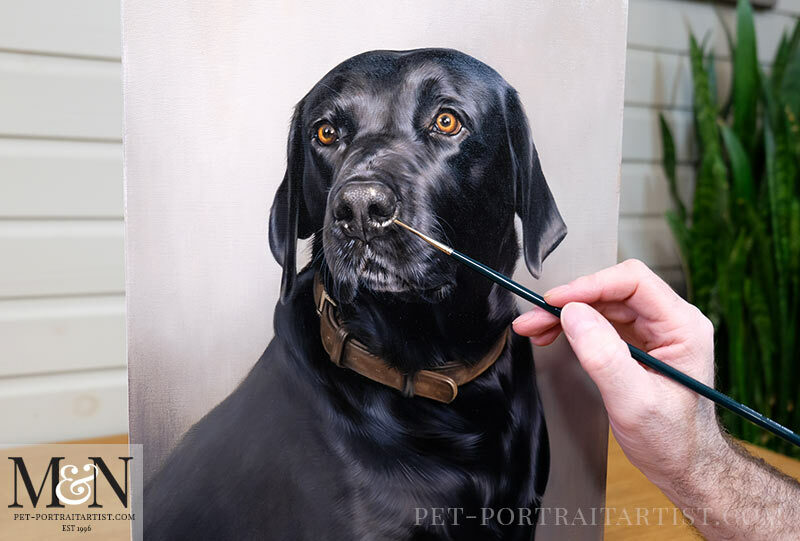 You can view an oil portrait he painted last year with a chocolate, black and yellow Lab all in one painting. Thanks for sending the stages pictures: they look great and as usual Nicholas has really captured Bryher rather than just a dog. Look forward to hearing from you soon.